He would have been 80 yesterday. But, he’s not alive to read the wonderful tributes and encomiums poured on him by family, friends, associates and comrades, who gathered to celebrate his life and legacy. However, even though dead, he lives. 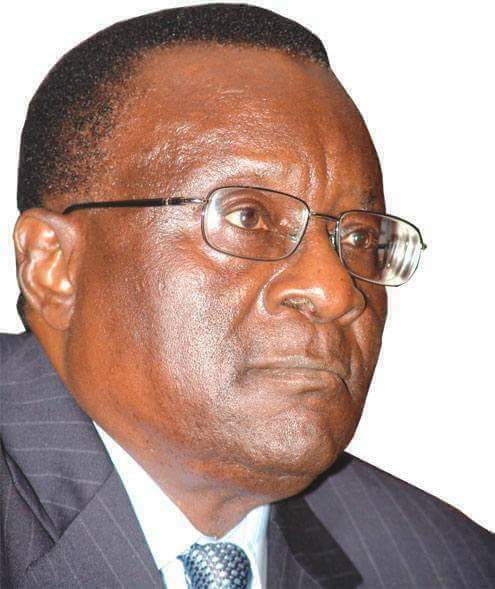 Chief Gani Fawehinmi lives. At a time like this, in the life of our nation, when everything seems to have gone awry: Herdsmen running riot and slaying innocent citizens, corruption (both past and present) enveloping everywhere and Nigeria totters under leadership quagmire, it would have been interesting to have the thoughts of the irrepressible legal dynamo. AN EERIE silence. A bus emblazoned with the insignia of the Nigeria Law Publications is parked outside the gate. A giant portrait of the former chief occupant of the house exhorting all to live and die for their principles stares at the visitor. Blaring of the horn. A security man opens the gate to make enquiries. A flicker of recognition lights up his face. ‘Ah, oga, na you?,’ he asks, opening the side gate to allow you in. The expansive compound like the outside is quiet. On this day, there were no blaring sirens shattering the ear drums and announcing the arrival of one big man or the other who have supposedly come to pay their last respects. No stomping of feet of the mass of humanity which converged there only a couple of weeks ago. No human and vehicular traffic. No genuine and hypocritical mourners. No limelight-hugging politician and the well-heeled posing for the cameras as proof to their neighbours, friends and associates of their ‘tight’ relationship with the late eminent generalissimo of the people’s army. A month after the death of, unarguably, Nigeria’s greatest human rights defender and legal dynamo, Chief Gani Fawehinmi, SAN, SAM, the celebrity mourners, some of who wept more than the bereaved, have moved on with their lives: their lives of stealing and corruption, their lives of self-service and incompetence, their lives of national perfidy, their lives of lies, hypocrisy and deceit, their lives of neglect and shortchanging of those they are supposed to be serving, waiting for another prominent citizen to die so they can say all the nice things about the deceased: how patriotic he was, how he would be sorely missed, how his death has created a vacuum which will be impossible to fill etc. To these set of celebrity mourners, no lesson is learnt from the life of the deceased. As Nigeria’s master satirist, Dan Agbese, succinctly puts it “our well-ordered culture” of professional mourning is well and alive. As I sit face-to-face with Gani’s strong-willed widow, the Amazon, Mrs. Ganiat Fawehinmi, this Tuesday morning, the 6th of October, 2009, at their famous Ademola close, Ikeja GRA residence, these are the emotions that fill me. I am depressed by our palpable culture of waste of our best, brightest and finest. Only for us to turn round to shed an ocean of tears and eulogise them at death. Why should we value and celebrate our most patriotic citizens only at their funeral? Chief Obafemi Awolowo was the best president Nigeria never had. Dr. Nnamdi Azikiwe was the greatest pan-Africanist. Fela Anikulapo-Kuti was the greatest musical prophet who fought for the emancipation of our suffering and smiling citizens. Now, if only Fela were here he would see that the smiles have since disappeared from the faces of his compatriots leaving the people as original suffer head. Chief Moshood Abiola was another best president we never had. Now, Gani, the greatest defender of the masses, a super patriot who so loved the masses that he was not afraid to lay down his life for their redemption. True, indeed. But, why didn’t these ‘powerful men’ ensure that the dead patriots got the chance to serve our people? Where were these men when Gani fought so hard to serve Nigerians at the highest level? Where were these men when Gani was rigged out of the 2003 polls? Why didn’t they let the good man serve the good people of Nigeria? Questions, questions. The matriarch ushered me into the sitting room, her eyes still puffy from the tears and pain of losing not only a dear one but a soul mate. I am not unfamiliar with the house. I could recognise the direction to the expansive dining table where I had shared dinner with the lion of the bar. Even though his portraits peer from different corners of the house, I am waiting to hear the booming voice of the patriarch of the house as he descends the staircase. Nothing. Not a whimper. No voice hailing the reporter: “Eric Moore! Eric! Eric!” No sharp rebuke of the nation’s kleptomaniac leaders in one of those explosive interviews. The eerie feeling grips you once more: Gani is truly dead. Dead, even though his ideals live forever. And the immortal words of the poet, Muir in Tarbolton Mill, comes to mind: “Friend of man, friend of truth; the friend of age and guide of youth. If there’s another world, he lives in bliss; if there’s none, he made the best of this.” True, indeed for the gadfly. Ganiat, ever the pleasant hostess and her grief notwithstanding, lets you into the intimate world of her best friend, father, lover, husband and mentor. Even though I had gone as a friend of the family to pay respects to man who was like a father and an inspiration to me, as a reporter I couldn’t help chatting up the grieving woman. I can only offer my sincere apologies to her for taking the liberty of publishing some of our intimate conversation. Did the legal icon have a premonition of his death? She can’t give a straight yes or no answer. All she remembers is that six months before his passing, she had asked her to get a pen and paper to take down instructions of what she must do when he passes on. A man with courage as his middle name, Gani told his distraught wife not to panic or fear death, because death is a debt we all owe and must pay up when it’s time. “We will all die whether we like it or not,” the widow recalls her late husband saying. He said ‘Ibukun[his wife], I am not immortal. Eventually, it was a relation of the family who took down Gani’s instructions on how his obsequies must go when it’s the final curtain fall. Chief amongst the instructions was that his wife should take charge of the event and the family must never accept a kobo from the government as donation or gift towards his funeral. He didn’t like to be buried in a hurry. He wanted a dignified exit, a befitting burial. He also passed on the mantle of leadership to his eldest son, Mohammed, a brilliant attorney like his late dad, charging the younger Fawehinmi to be a beacon of unity amongst all his children and family. A very brilliant man who knew so much about law and a little about every subject under the sun. That is Ganiat’s apt description of her man. Nigerians can’t agree more. Before I left Gani’s residence, I, too, had become misty -eyed. But there was one consolation: Gani, like Paul in the Bible, had run his race, fought a good fight and left the battle for others to continue. Can they? Sure, Gani fought the deadly cancer which claimed his life to a standstill. He was not afraid of dying. He believed in the words of the English poet, Alfred Housman, that: “The man that runs away, lives to die another day.” And like the Spanish revolutionary, Dolores Ibarruri, Gani believed that “It is better to die on your feet than to live on your knees.” And he fought till the end. The lesson to learn from Gani’s death is that it is possible to live by your principles till the very end without compromising. That, unfortunately, is a lesson not many Nigerians, including those who call themselves our leaders are willing to learn.